“As of yesterday Russia has started an uncovered military invasion of Ukraine. Our sincere attempt to offer a hand of peace to Russia in Minsk got a cynical silly smile in response. The same night we witnessed the crossing of Ukrainian border by motorcades of Russian military vehicles and equipment. “Green men” without insignia, similar to those we saw in the Crimea, are flooding Ukraine. Ukraine and the European Union must stop this war. We call for holding on 30 August a special extraordinary session of the European Council on Ukraine. Enough of connivance and appeasement of the aggressor! Solidarity must become absolute and undoubted. It should materialize in further resolute significant sanctions and large-scale military and technical assistance to Ukraine in order to stop the aggressor. Now is the time when actions should replace words. Since the beginning of Russia’s aggression in February the Council approved 11 conclusions and the European Parliament adopted 4 resolutions urging Russia to respect the territorial integrity of Ukraine. Hasn’t it been enough to understand that words don’t matter to the Kremlin? 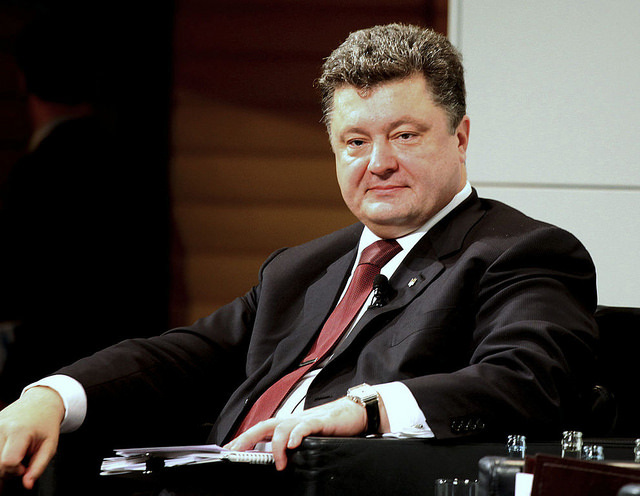 Ukrainian President Petro Poroshenko will be in Brussels on the day of the summit, and will hold bilateral meetings with the Commission and Council Presidents, EU institutions have confirmed.